This lovely vase was made by Michael Hunter for Twists Glass in 2017. 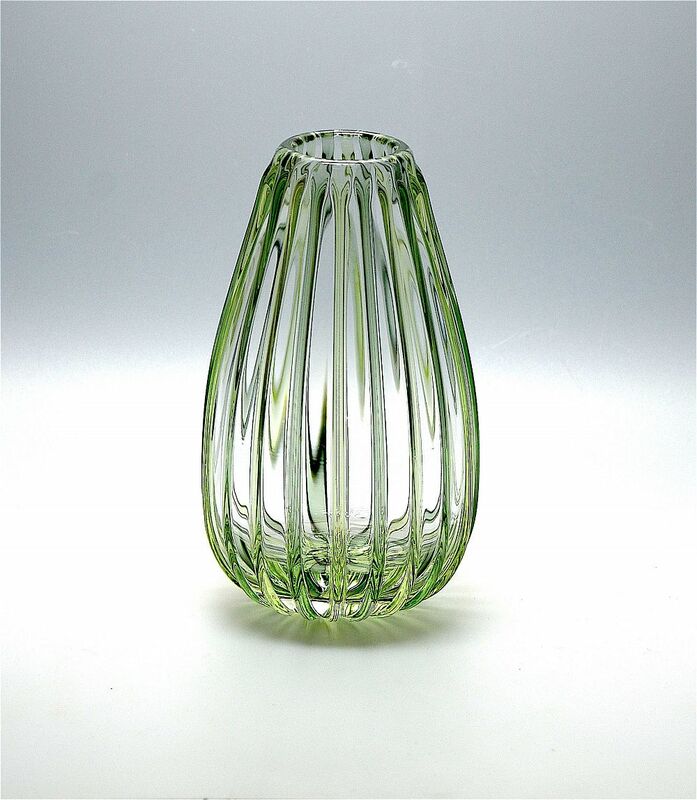 Known as "Illusion Pod" it is made of clear glass with 20 green and pale yellow canes running down the outside of the vase. The base is scratch signed "M Hunter Twists 17".